If a national health system is going to fix diseases, it needs to know where diseases are located. Most countries in the developing world have massive information systems designed for this very purpose. Unfortunately, the information takes a long time to get from one location to the next, and sometimes the information is stored in formats that make it difficult to use. Information is power, and that tenet is especially true in public health. If public health personnel can get accurate information quickly, they can respond to that information quickly. And quick responses mean more lives saved. Data collection: Every surveillance system must provide a solution for data collection. 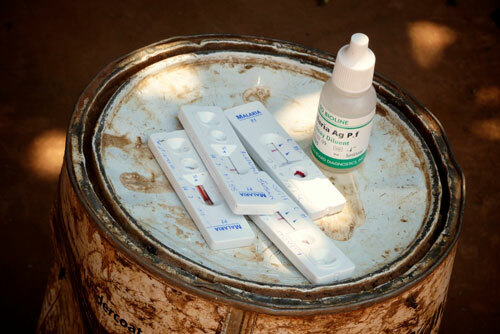 Most HMIS platforms in the developing world utilize paper forms. Data transmission: Every surveillance system must devise a strategy for getting data from the field (or health clinics) to the people that make decisions. Since most developing world HMIS systems use paper forms, these forms have to be physically carried from point A to point B. This results in tremendous delays. Data aggregation: National health systems need to be able to identify regional trends in diseases so that they can better procure and distribute remedies. If each health facility is reporting on a paper form, someone needs to hand calculate the regional trends (facility 1 + facility 2 + facility n…). This technique is slow and error prone. Data analysis: Once all data have been collected, transmitted and aggregated, someone must interrogate the data – this is often termed ‘decision support’. Many developing world HMIS systems have laborious or overly complex decision support frameworks. Akros designs and deploys innovative and holistic surveillance systems in developing countries, maximizing gains in all four of the above factors while keeping the system fully within the technological capacity of our host country. Why is this important? Read more about Akros’ role in capacity building. 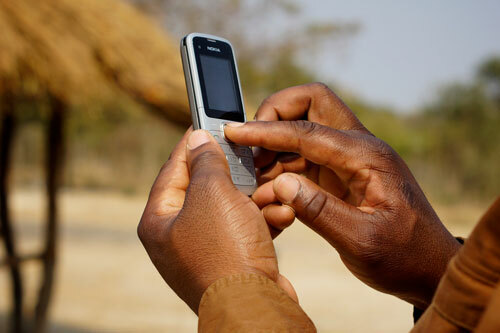 Simple feature phones can be used to report from remote villages. 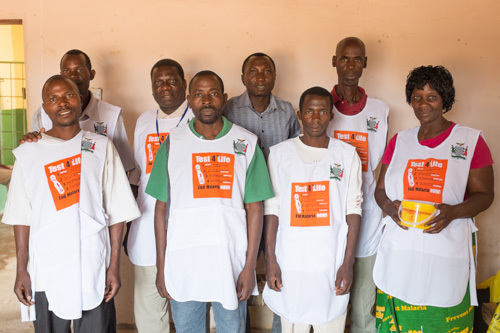 Akros deployed a revolutionary mobile phone surveillance system in Zambia health clinics, complementing the current HMIS. The impact? It used to take several months to transmit data from health facilities to decision makers, now it takes minutes. 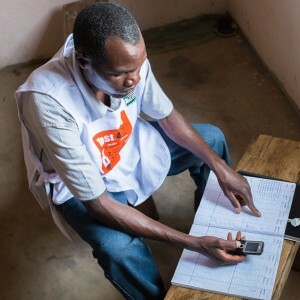 Read more about our work in mHealth and Data Collection. 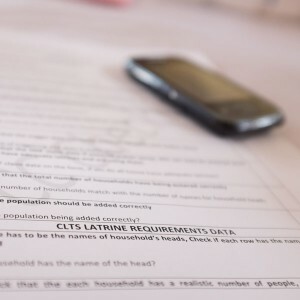 Akros deployed the very first community-level surveillance platform in Zambia for WASH indicators, on behalf of the Ministry of Local Government and Housing, the Ministry of Health and UNICEF. Using a combination of mobile phones and web-based decision support frameworks, Akros decreased the total time for collection, transmission and aggregation of data from four months to a few minutes.